After the divine shoulders, ALavandhAr enjoys the divine neck and the beauty of the divine face. udhagra pIna amsa vilambi kuNdala alaka AvaLI bandhura kambu kandharam – having neck that is beautiful due to the earrings that reach upto the tall and well-rounded divine shoulders, and with the curly hair, and which has 3 lines. udhagra … – emperumAn who is having his divine earrings which lean upto the well grown/rounded divine shoulders, the curly hair that leans upto the same shoulders, and having the divine neck which is decorated by the beauty acquired by these (earrings, hair and shoulders); having the divine neck which has 3 lines [which is seen in great personalities]. mukha SriyA … – As that beauty of the divine hair leads to the divine face, ALavandhAr enjoys the beauty of the divine face. You who is having divine lustre which defeats the luster of full moon and the beauty of freshly blossomed lotus flower. mukha SriyA – the radiance of the face. nyakkrutha – [humble state – even when emperumAn is in normal posture, and the moon is in the best posture] The moon, on a clear full moon day, with no blemishes, is incomparable to the beauty of emperumAn. 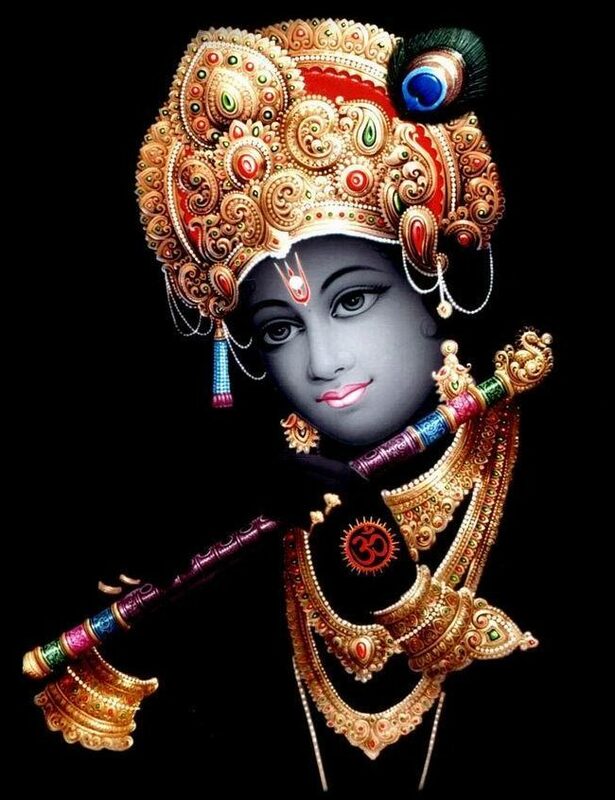 As said in periyAzhwAr thirumozhi 1.4.3 “eththanai seyyilum en magan mugam nErovvAy” (Whatever you do, you cannot match the beauty of my son krishNa), when emperumAn takes an incarnation as a cow-herd boy also, the full moon cannot better his beauty and radiance. As said in SrIvishNu purANam 5.20.55 “… vikASiSAradhAmbhOjamavaSyAya jalOkshitham …” (Oh friends! Please see the krishNa’s face which has reddish divine eyes which defeats the freshly blossomed lotus flower with mist on it. You fulfil the purpose of having the eyes). For the freshness and fragrance of his face, lotus flower is no match. In the same SlOkam, it is said “paribhUya sthitam” (defeated the lotus flower). This entry was posted in Other, sthOthra rathnam on January 16, 2017 by Sarathy Thothathri.